This sign makes it perfectly clear No Jumping, Running, or Climbing Allowed, and Moms, Dads, Grandparents, and Guardians will be held responsible. 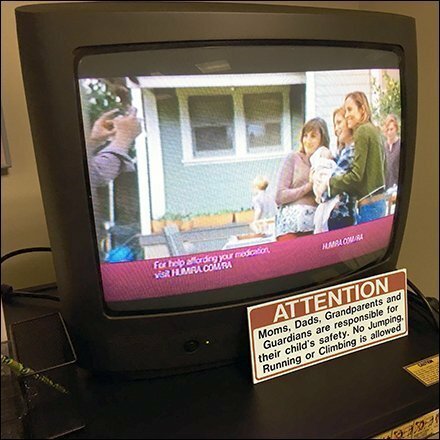 A television is provided as a distraction and for children’s entertainment. Hopefully that will be enough to calm them down. Because it bears repeating, No Jumping, Running, or Climbing Allowed.